Iowa- and Illinois-based Genesis Health Systems has joined forces with visibility and analytics provider, STANLEY Healthcare, and nurse call platform provider, Critical Alert, to streamline clinical workflows using STANLEY'S RTLS platform and Critical Alert's Nurse Call tool, the companies announced last week. Using the native integration from Critical Alert and the staff workflow function of STANLEY's RTLS platform, the staff at Genesis can locate clinicians and respond to bedside patient alerts and requests. Maureen Nylin, nursing clinical informatics specialist at Genesis Health System told Healthcare IT News that Genesis expects the implementation will improve HCAHPS scores and staff and patient satisfaction. "The implementation was a collaborative approach," Nylin said. "Alarm management is a hot button issue from everyone across the board; it's getting tongue-in-cheek. It's not about managing alarms, but making sure what you're doing is meaningful." "For our clinicians, when they're getting messages, they know exactly what the patient needs," she added. "Trying to overcome alarm fatigue is about getting the right message to the right person, at the right time." Implementation began in June of 2015 at Genesis' DeWitt Community Hospital. According to Nylin, one of the greatest improvements is that patient calls are canceled as the nurse walks into a room, which frees up time for the clinician. Furthermore, the data is being collected for a knowledge base to "see the low-hanging fruit," Nylin said. "We'd like to use the analytics to see where we can improve efficiencies." The Critical Alert tool captures data from clinical workflow, allowing staff to analyze the data points into the nurse call system, according to Josh Troop, marketing director for Critical Alert. "We're working with companies like STANLEY, to create something much more valuable than two equal parts," Troop said. "In this case, we were able to leverage the STANLEY investment that Genesis already made to ramp up our tools already. Our systems work together seamlessly in the background." For STANLEY, it's about making sure "clinicians have more time to spend with the patient to improve the care arena," Nadav Barkaee, product manager for integrations, STANLEY Healthcare said. "One of the major benefits of being able to offer an enterprise-grade RTLS solution is to make sure the investment can be used across multiple solutions for staff efficiencies and workflow." 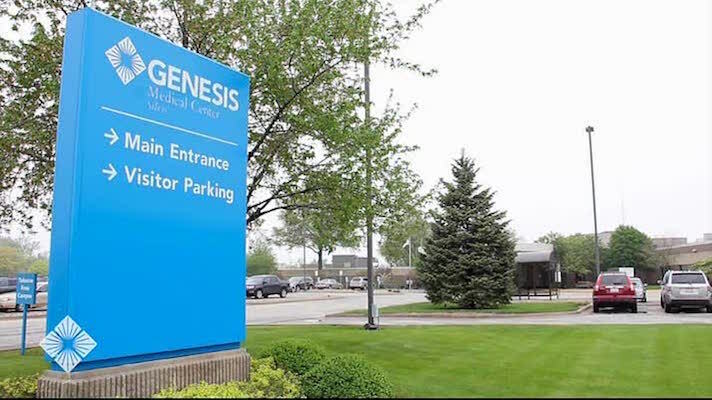 Genesis plans to implement the systems at four more of its hospitals in the near future.